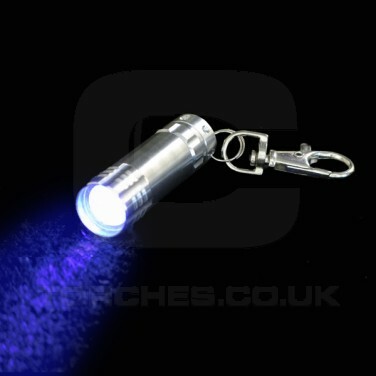 A funky but useful UV 3LED keyring torch which means you have got the power to detect and see anything UV whilst out on the go. 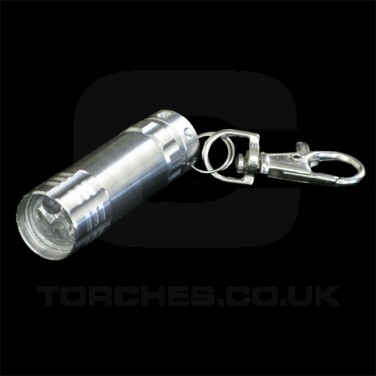 Utilising 3 LED's the UV keyring torch is handy and reliable and will detect ultra violet material at the press of a button. UV light is multi-functional so if its to highlight dust and dirt around your home or work place, or light up clothing or gadgets in clubs, the UV keyring is for you. As a handy torch too you won't ever struggle for light again.